'Brookholt', the O.H.P. 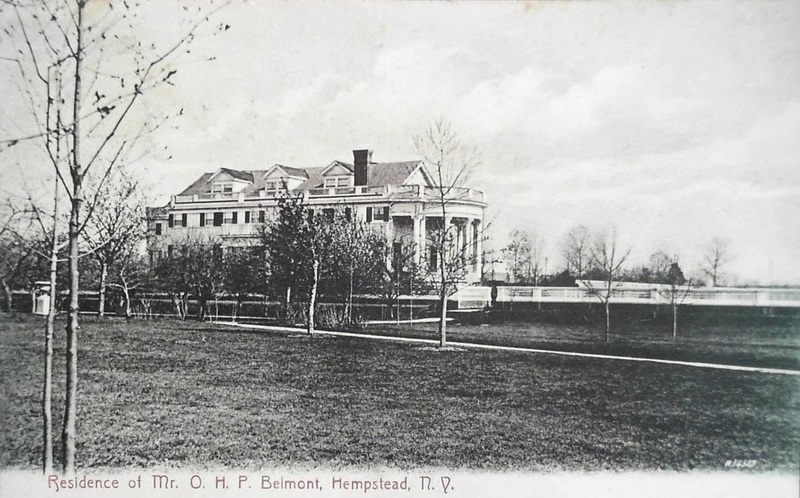 Belmont estate designed by Hunt & Hunt c. 1897 in Hempstead. Click HERE and HERE for more on 'Brookholt' which has since been demolished. Not the best of Alva Belmont's architectural projects. 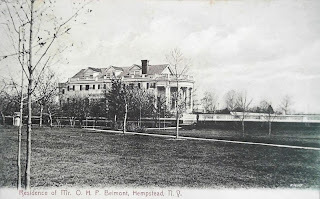 I asked this before,Supposedly at one time, Hempstead was the hub of the social derby for Gilded Age social climbers; but there is so little information on the families and estates that once resided there, it makes you think it must have been one of the first casualties of progress that destroyed many estates and resort areas around the country. And also, were there many estates in the area as large as Brookholt, or were more of them more modest like Blemton Manor?